GOLF has been proven to be very beneficial to health except maybe in one big respect – sun damage. For older golfers much of the damage may already have been done and focus should not just be on sun protection but should also be about early detection and treatment. 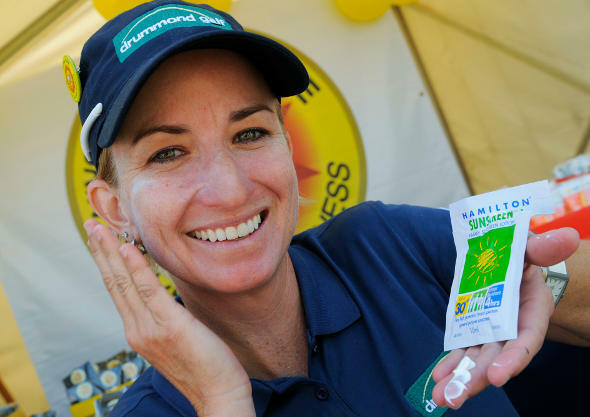 The skin cancer issue is being highlighted at the 2012 Australian Women’s Open where golfing great Karrie Webb is urging fellow golfers and fans of the game to stay sun protected and to receive a skin check at this year’s tournament. 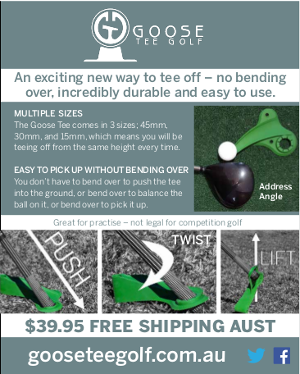 An initiative created in partnership between the Fiona Pike Skin Cancer Awareness Campaign and Australian healthcare company iNova aims to educate golfers, caddies and spectators about the dangers of sun exposure, how to detect pre-cancerous skin damage and preventative measures. During the four-day event a dermatologist will conduct skin checks on professional golfers and spectators at the Royal Melbourne Golf Club. Like many Australians, Webb has been affected by skin cancer through friend and fellow golfing professional Fiona Pike who passed away in 2009 from a melanoma-related tumour. “More than four hours on the golf course each round means an increased risk of skin damage, so it’s important that players and fans wear sunglasses, sensible clothing, a suitable hat and use sunscreen to help prevent skin cancers,” Webb said. People concerned about skin cancer should speak to a healthcare professional. Visitors to the Open should keep an eye out for the free Hamilton sunscreen and sun protection information leaflets that will be given to golf fans. Karrie Webb, as ambassador for The Fiona Pike Skin Cancer Awareness Campaign, will also receive on behalf of the charity a $3,000 donation from iNova that will go towards upgrading rooms at Flinders Lodge where people from the country stay whilst receiving cancer treatment in South Australia.